* Advanced Flash design for the graphic artist or animation programmer. Full design control. * Project Templates and Wizard Panel for quick publish of included projects. * Bundled with over 380 built-in multimedia effects and a simple effects browser. * Built-in effects make creating animations quick and easy using your videos, text, images, graphics or sounds. * Effects can be applied to multiple objects. * Supports multiple overlapping soundtracks with multiple sound effects. * Choose from over 300 components and vector shapes, or add your own custom built components. * Create and distribute your own special effects and components. * Component Tool for fast and easy placement of common components. * Type text directly on the stage and even give each character an individual attribute (bold, font, size etc.). * Advanced drawing tools include: Line, Pencil, Pen, Text, Ellipse/Circle, Rectangle/Square, Perspective and AutoShapes. * Keyboard short cuts are available for all the drawing tools. * Complex Shape editing options make it easy to modify your shapes. * Use AutoShapes to place arrows, stars, polygons and more. * Guides, grids, and alignment tools. * Knife tool and Shape Operations. * Bezier curves for motion paths. Convert shapes to motion path. * NEW! Filters and Blend Effects. * A simple yet comprehensive interface puts all the tools within easy reach. * Objects, frames and effects can all be added, modified or deleted directly from the timeline. * Open multiple documents simultaneously to manage your large projects. * Moveable panels can be hidden to clear your workspace. * Preview all your work within SWiSH Max4, even playback at different internet speeds. * Sharing resources between your Flash movies is a breeze with the content library and assets. * NEW! Undo/Redo Panel shows the history of your actions. * NEW! Advanced Find and Replace lists results in objects, script and labels. * Import SWF movies produced by any other Flash application. * Import videos, sounds, graphics and text files. * Paste Special offers a choice of import formats when transferring from other applications. 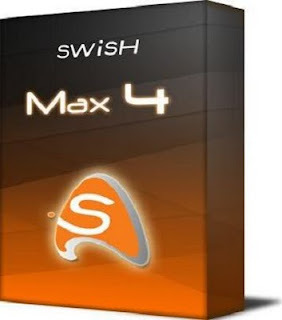 * SWiSH Max4 SWF movies can be imported into any other Flash application with ease. * Advanced compression features help keep your SWF file sizes small. * Export straight to AVI, EXE, PNG or GIF animation. * NEW! New SWF Export options. * All interactivity can be added through a simple menu interface. * Script editor allows advanced user to enter scripts directly. * A debugger simplifies finding and fixing errors in your scripts. * Syntax coloring, custom keywords and support for external script files. * NEW! Print a selection, current script or all script. * NEW! 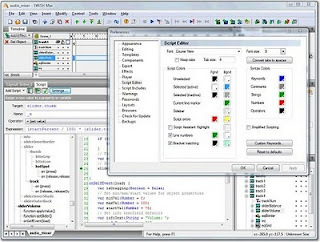 Improved script compiler supports #pragma and new language syntax. Run SetupSwishmax4.exe To Install SWiSH Max4 Build 2010.11.02 follow The Onscreen Instructions By The Installer. When Finish Installing UnTick-> [ Run SWiSH Max4 ] And Click Finish To Complete The Setup, Dont Start The Program Yet And Make Sure Its Not Running, Now Run SWiSH Max4 Easy Patch.